With another rate hike, has the Fed just pushed US towards a bear market? 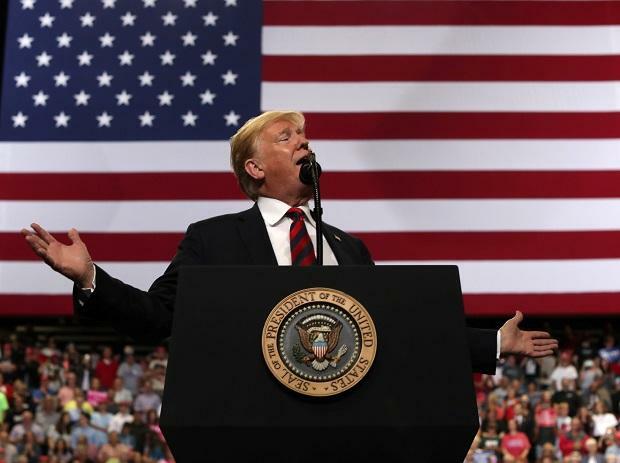 President Donald Trump said it was time for US troops to come home from Syria, after years of battling the Islamic State group in the war-wracked country. "We won," Trump said in a video message posted on Twitter on Wednesday, declaring the IS jihadists defeated. "We've beaten them and we've beaten them badly. We've taken back the land." "So our boys, our young women, our men -- they're all coming back and they're coming back now," Trump said. His message came at the end of a day of relative surprise in Washington at the news that the 2,000 US troops on the ground in Syria would be withdrawn. A US official said Trump's decision was finalized on Tuesday. In his video message, the Republican president -- facing criticism on both sides of the political aisle -- insisted the time was right. "They're getting ready. You're going to see them soon. These are great American heroes," Trump said.